1. Choose Your Party Type: We can work with any budget to create your dream party! Call or email us for a quote. This includes a main art/play project that each child can take home and a mural for painting and decoration. The party lasts 1 hour and 45 minutes – up to 18 Children. Additional children at extra cost of $20 per child. 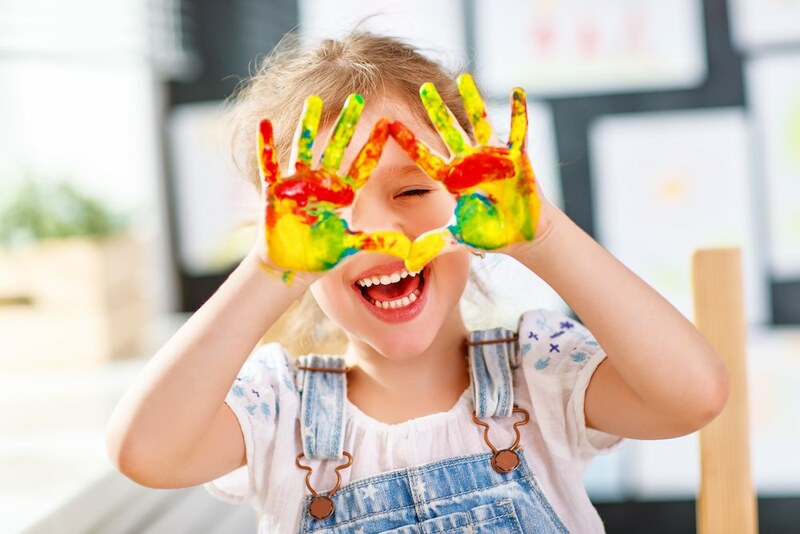 Ages 1-3 – Sample projects may include sensory play stations such as rainbow rice, water tables, slime, and natural ice paint, etc. 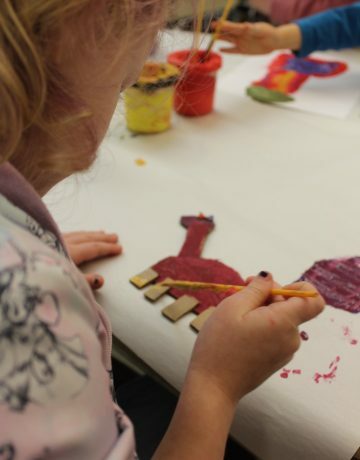 Ages 3-4 – Sample projects include painting explorations, clay sculptures, collaborative projects, etc. 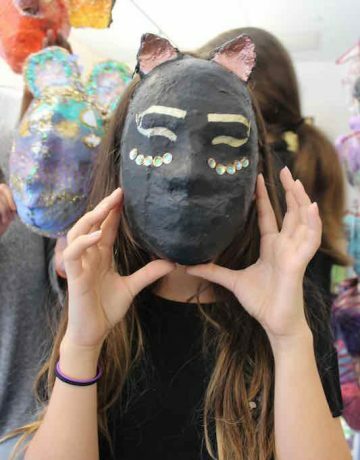 Ages 5-12 – Sample projects include mixed media canvases, printmaking explorations, sculptural assemblages, etc. 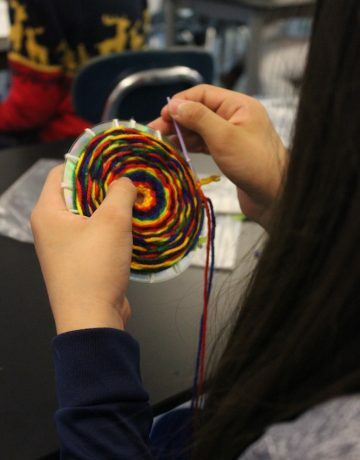 Ages 12-16 – Sample projects include canvas paintings, magazine bowls, nail & yarn art, collage mirrors, etc. Other party types : bachelorette parties, bridal showers, graduations, team building and more! Note: The host is responsible for all food, paper goods and beverages. 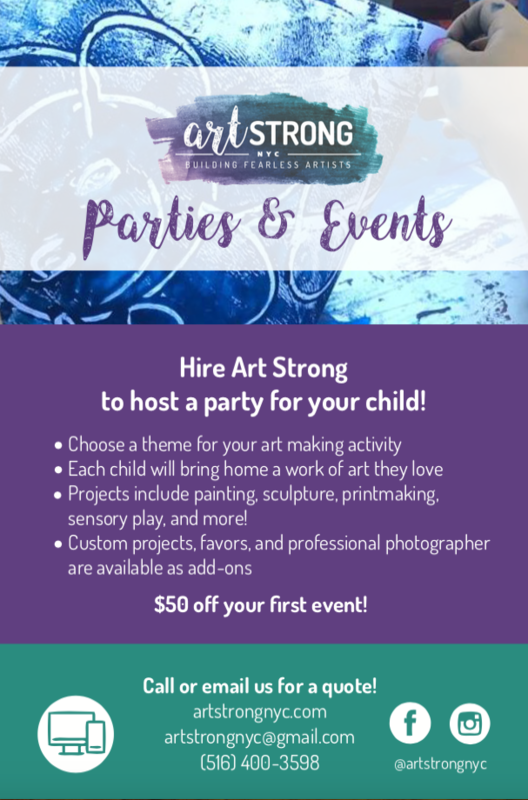 Art Strong will supply all art materials and tablecloths.